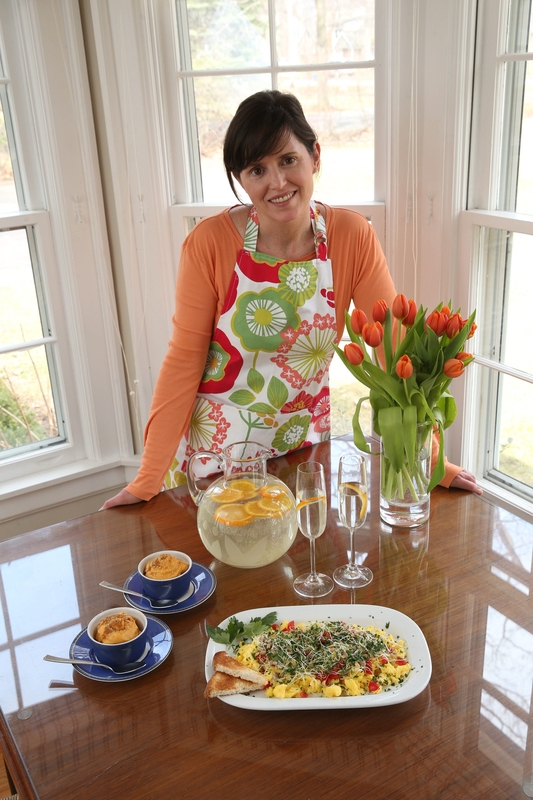 Kathleen Bradley of Lewiston, a certified professional coach, co-wrote “The Everything Guide to the Low-FODMAP Diet,” a cookbook that promotes a healthy gut. She herself has Irritable Bowel Syndrome and uses the recipes on a daily basis. An egret poaches tasty insects from the backs of cattle, keeping the mammals cleaner and healthier in the process. A shrimp, nearly blind, burrows a hole in the sandy ocean floor for itself and a goby fish, which in return will warn the shrimp of impending danger. A dog provides protection and comfort for its owner, and receives the same. We look to nature for examples of mutually beneficial support, but rarely consider the trillions of bacteria within our bodies – where microbial cells outnumber their human cell companions by about 10 to 1. More than a trillion have taken shelter in your gut alone, and medical researchers have become fascinated with their interplay. They believe what happens here may have an impact on conditions as varied as acne, arthritis and autism, as well as those that specifically target the gut, including colitis, Crohn’s disease and Irritable Bowel Syndrome (IBS). Probably obesity, too. “The bacteria we harbor in our gut is hugely important, but unfortunately we just know a little bit about it,” said Dr. Thomas Mahl, chief of gastroenterology at the Veterans Affairs Medical Center and clinical professor and interim chief of gastroenterology and nutrition in the University at Buffalo Department of Medicine. The National Institutes of Health now works with thousands of researchers around the world on what it calls the Human Microbiome Project. A key portion involves the intestinal microbiome. The promise of new discoveries has medical and nutrition experts pumped, some so much so that they are racing ahead of the research and making a variety of claims that may or may not be true. Mahl and other experts talked with WNY Refresh about what is known, how they advise those suffering from gastro conditions, and what might be possible in the years to come. 1. The no-brainers: Smoking, excessive drinking, obesity, even not wearing a seat belt while in a motor vehicle. These all put your overall health in danger. 2. Antibiotics: These are designed to wipe out bacteria – both good and bad. Bradley believes a heavy course of antibiotics set the stage for her IBS, and Bolen said she will not be surprised if future research shows that chemicals and antibiotics used to conventionally raise livestock affect the health of gut bacteria. 6. Being too clean: The “hygiene hypothesis” suggests an increased incidence of autoimmune disease in some countries may have to do with an overemphasis on wiping out bad germs that our bodies once tackled themselves, building immunity in the process. Mahl has a protocol when it comes to trying to bring gut problems under control. First, he has an obligation to determine his patients don’t have an organic disease like a peptic ulcer, ulcerative colitis or pancreatitis. Most don’t, but instead have “functional bowel disorders” that create pain, diarrhea or constipation, even though tests show their stomach and intestines look fine. 1. Perspective: Mahl assures patients that despite the discomfort, “this is not going to kill you.” He tells them there is no miracle cure – yet – and several steps can be taken to relieve, but not eliminate, symptoms. 2. Nutrition: Those with Crohn’s disease need to avoid gluten and those with food allergies need to steer clear of foods that generally include one or more of the following: dairy, eggs, nuts, seafood, soy or wheat. A small percentage of Mahl’s patients have potentially deadly reactions to those foods, he said, but a significant percentage have an insensitivity to some of them. He recommends patients give up dairy for one week, fructose for a second week and wheat for a third, to see if their gut feels better. The Low-FODMAP diet is a similar, though more complex, elimination diet for those with IBS. Mahl’s prescription for those with constipation? Two cups of Raisin Bran every day. “Bran fiber, I think, is the absolute best,” he said. 3. Medications: When other means fail, Mahl will prescribe anti-diarrheals or anti-spasmodics for those whose bowels run too quickly, and laxatives for those whose bowels run too slowly. Anti-anxiety medications also may be used. Many patients can get off these medications after a short time. 4. Behavioral therapy: The UB Behavioral Medicine Clinic, part of the medical school, uses “a very specific type of psychotherapy” designed to give patients a better perspective on their gut health, Mahl said. He said he has found that patients with irritable and functional bowel disorders willing to give it a try do just as well as those on medication. “The mind does help the gut,” he said. “If you think you’re getting better, and your stress level goes down, your gut will probably feel better – and that’s not a bad thing.” Those 18 and over interested in participating can call 898-4458. It’s free and you can be compensated for your time. You must agree to be followed for a year. Learn more about Irritable Bowel Syndrome and the Low-FODMAP diet at everythinglowfodmap.com; order the book, “The Everything Guide to the Low-FODMAP Diet,” at the same website; nutritionists and registered dietitians also can find out about an online training session the authors have created.